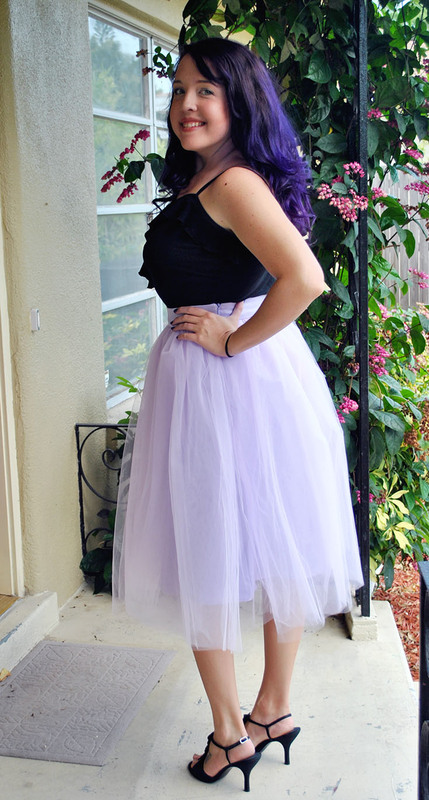 Thanks to Shabby Apple for providing me with an adorable tulle skirt. Some days just call for a tutu and a pair of heels, today is one of those days. It's not a special occasion, I have no where to be, but today definitely felt like a tutu-wearing type of day. Running around my office, working on upcoming projects, and wearing this skirt has made for a pretty sweet day - it's nice to feel pretty and a bit snazzy while going about an ordinary work day. As you can tell, I'm in love with my new tulle skirt; paired with all different types of shirts and a wide variety of shoes, I can wear this little number all different kinds of ways! 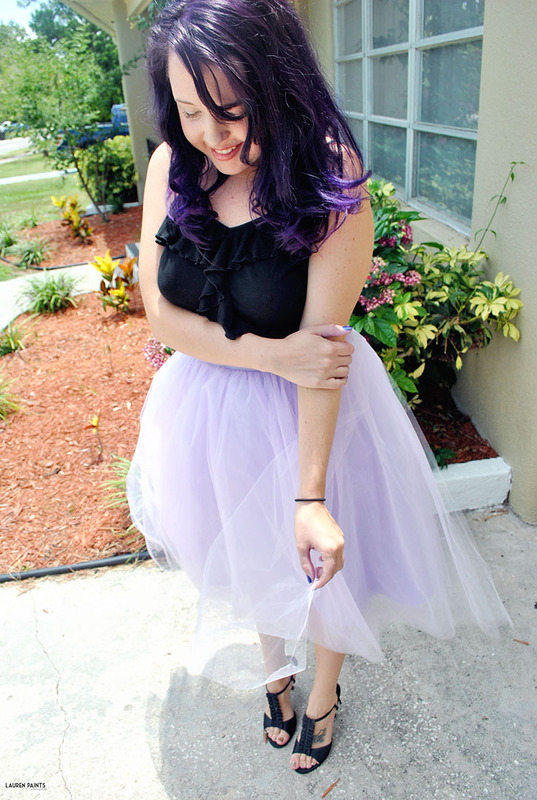 This time around I opted to wear my beautiful violet purple tutu with a frilly black shirt I purchased at a thrift store and a pair of Nina heels that I've had for many, many moons. Next time I can picture myself rocking it with my kitten eye sunglasses and a cropped leather jacket and boots of some sort or maybe something simple like a cardigan and ballet flats... either way, I can't wait to rock this tulle skirt over and over again. If you're wondering where I snagged this beautiful skirt, you'll need to check out Shabby Apple! I love everything they carry, a little bit of everything from beautiful accessories to perfectly pretty tutus, they've got it all. 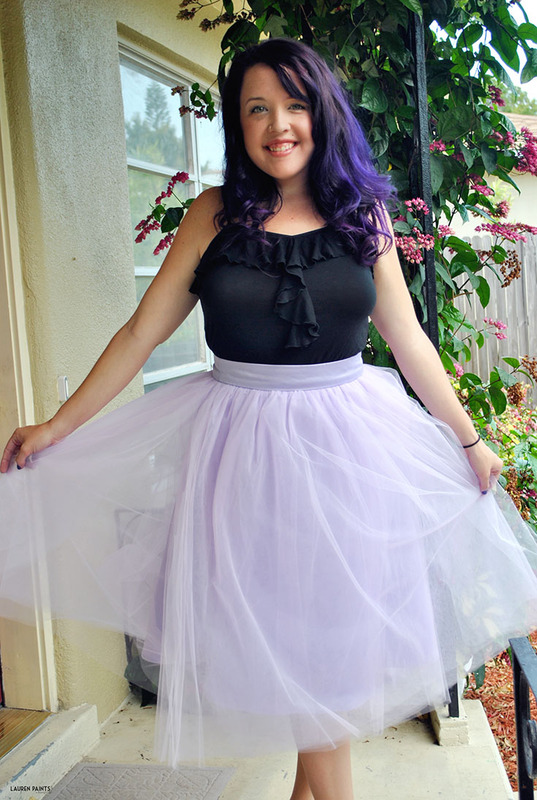 Plus, these gorgeous skirts come in a huge variety of colors and lengths, so I'm sure you'll be able to find the perfect tulle skirt (and more) to add to your wardrobe! Do you ever have days that just call for something ridiculously girly for no particular reason? Where would you wear a tutu?